The brain is an amazing thing. Like many amazing things, it is also quite complex. It can process information and data; store and recall information and data; and influence how we behave and feel. All of these tasks are often done simultaneously, or at least within milliseconds of each other. Cognitive psychology is meant to help us try to understand the human thought process and how we acquire, process, and store information. Professionals in this branch of psychology study a number of mental processes. A few of the most common - and important - mental processes that cognitive psychologists study include memory, perception, and learning. Memory is the ability to recall certain bits of information that were acquired in the past. Our memory helps us in learning, speaking, and interaction. Because of this, memory is also one of the most studied areas in cognitive psychology. Perception is another area of the human mind that cognitive psychologists study frequently. The term perception refers to the way that each of us see the world, and why we have these particular views. Cognitive psychologists that study perception often have a better understanding of predicting future behavior in certain types of people. The term "cognitive psychology" was coined by Ulric Neisser, an American psychologist working at Cornell University. His book, Cognitive Psychology, was published in 1967, and it remains one of the most influential books in this particular area of psychology. Why Do We Need Cognitive Psychologists? In short, the work of cognitive psychologists can help some people overcome their disabilities. Take memories, for instance. Most of us don't usually think to be thankful for the memories that we have. They're just there. They've always been there. What if you lost your memory? What then? Would you be upset? Would you be upset? Frustrated? Of course you would! Problems with memories can translate to problems in life in general. As mentioned above, memory affects a number of different cognitive processes. Without a good memory, we would be unable to read, write, or even speak well. It would also be hard for us to remember our friends' birthdays, or even faces. Through their research, cognitive psychologists have discovered several different ways for a person to improve their memory. This can help with social, language, and learning skills. Learning disabilities, for example, can often be overcome with the help of a cognitive psychologist. What Are the Education Requirements to Become a Cognitive Psychologist? As with other psychology careers, a four year Bachelor's degree is usually the necessary starting point of a cognitive psychology career. While earning psychology degrees, students will often take several different types of psychology courses, such as abnormal and developmental psychology. Courses on research strategies and statistics are also usually recommended, and often required. Once a student has earned an undergraduate degree in psychology, he can then start working toward more advanced degrees. A handful of psychologists stop their education after earning their Master's degrees, but most continue their education in order to earn their Doctorate degrees. If you are serious about becoming a cognitive psychologist you can request information from schools in your area via our Find a School Page. What Does a Cognitive Psychologist Do? 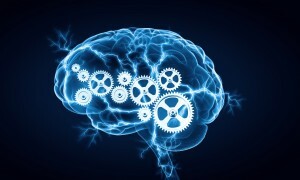 In general, a cognitive psychologist will spend most of his career researching cognition, or the human thought process. More specifically, most cognitive psychologists will usually choose one particular thought process to specialize in. For example, a cognitive psychologist might focus on memory, while another might focus on learning disabilities. A cognitive psychologist can typically focus on three things: research, treatment, or teaching. Some more ambitious cognitive psychologists, however, will focus on more than one of these areas, such as teaching and research, or research and treatment. Where Does a Cognitive Psychologist Work? A cognitive psychologist will often be able to secure employment in a number of different facilities, depending on his specialty. Cognitive psychologists who focus on research, for instance, can often find work in research facilities and government agencies. Universities and other schools might also hire cognitive psychologists as members of the faculty. Cognitive psychologists also work at treatment facilities, like hospitals and mental health clinics. Cognitive psychologists can also choose to open their own practices as well. In doing so, they can focus on several different tasks. They might be able to focus on analyzing or treating patients, for example. Some cognitive psychologists might also work as consultants or expert witnesses for court cases. What Is the Median Annual Salary of a Cognitive Psychologist? The salaries of cognitive psychologists will typically vary, depending on which specialty they choose. Psychologists across all areas of specialization earned a median salary f $86,510 in 2010. Psychology professors at universities, on the other hand, earned a median salary of $74,320. On the higher end of the salary spectrum, cognitive psychologists that worked in scientific research centers and physicians' offices made $100,790 and $109,600, respectively. Ulric Neisserfirst coined the phrase "cognitive psychology" in 1967 in his book of the same name. Donald Broadbent's 1958 book, Perception and Communication, is still referred to as one of the most influential books in cognitive psychology today.